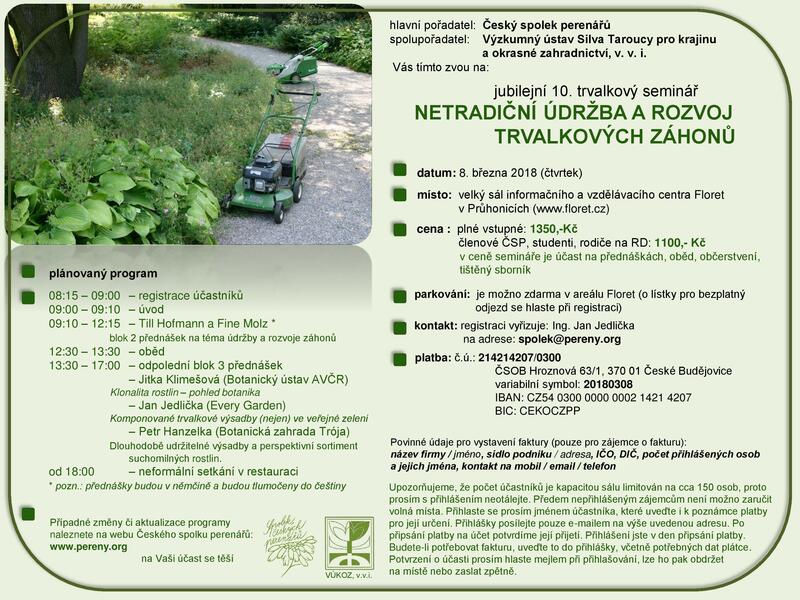 Czech perenářů association invites you to the traditional perennial seminar. Jubilee 10. Seminar will focus on non-traditional methods in the development and maintenance of perennial plantings. – Petr Hanzelka (Botanical Garden Troy) Sustainable planting and promising range xerophilous plants. Included in the course is attendance at lectures, lunch, refreshment, printed proceedings. Please note, the number of participants is limited to room capacity approx 150 people, so please do not delay signing. Pre-authenticated candidates can not be guaranteed vacancies. Detailed information on the seminar can be found in the attached Annex.